The police have ended investigations on newly-elected Member of Parliament Tin Pei Ling and National Solidarity Party member Nicole Seah, with the police saying they will not take further action against them. Complaints were made against them for allegedly flouting the Cooling-Off Day guidelines in the May General Election. Both were said to have made Facebook postings on that day. Police investigations showed Tin's posting was made by a friend, who acted without her knowledge, reported Channel NewsAsia (CNA). The police have issued a stern warning to Tin's friend for her breach of the Parliamentary Elections Act. 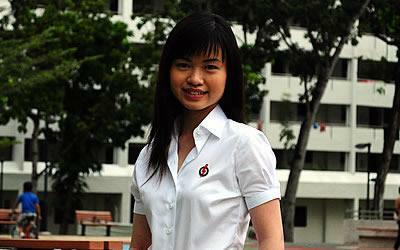 As for Seah, police said investigations found that the posting was made by a party volunteer. The police accepted the volunteer's explanation that he intended to post it before Cooling-Off Day but inadvertently did so after, reported CNA. Tin told the broadcaster she is relieved by the outcome and hoped to put it past her and focus on serving residents. Two Singaporeans and a foreign national studying here were also fined for defacing election posters. The three, a 62-year-old-cleaner and two youths, were fined between S$200 and S$400 for committing the acts in May.